Golden Messages of Abundant Joy and Celebration: Awakening the Enlightened Heart is a book that primarily specializes in healing from past pain, issues, hurts and baggage by letting go to find peace, ease, joy, lightness and LIFE in the magical present moment! 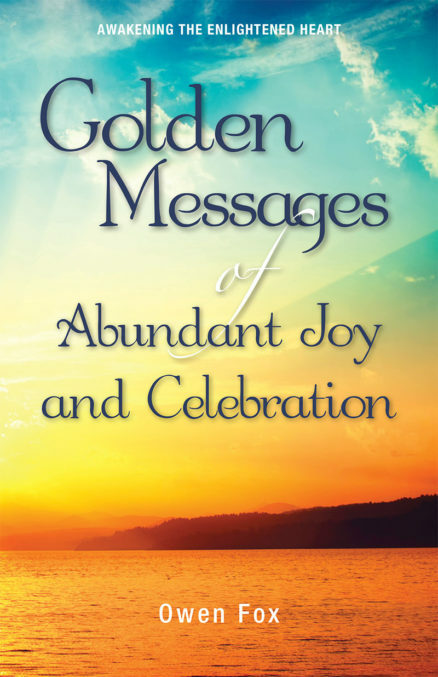 Golden Messages of Abundant Joy and Celebration is a book that primarily specializes in healing from past pain, issues, hurts and baggage by letting go to find peace, ease, joy, lightness and LIFE in the magical present moment! Seeing life more through the eyes of a pure innocent child, yet with the awareness and wisdom of a sage master! Healing and opening your heart and relationships to untold joys and deep, wonderful, light, FUN and empowered levels with healthy boundaries and non dependency or any of the old egoic patterns that were prevalent before this golden age we are now thoroughly BLESSED to be in. 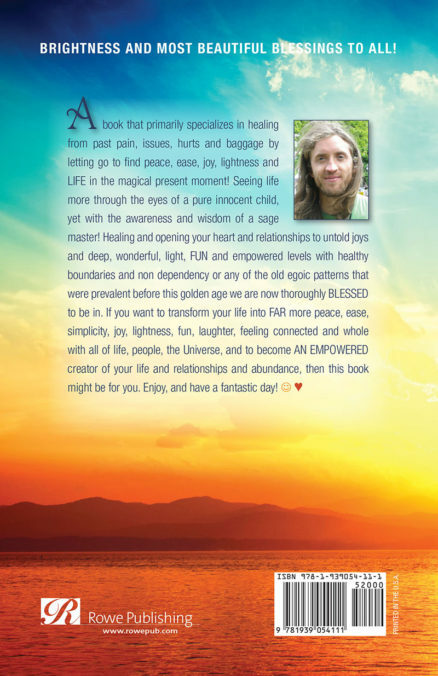 If you want to transform your life into FAR more peace, ease, simplicity, joy, lightness, fun, laughter, feeling connected and whole with all of life, people, the Universe, and to become AN EMPOWERED creator of your life and relationships and abundance, then this book might be for you. Enjoy, and have a fantastic day! I am an infinite being incarnated here to experience great contrast at this extreme time period on Earth, and a deeply contrasted life, of both so much pain and sorrow as a child and all the way up into my mid twenties, then a sudden awakening out of all that sorrow and pain. I awoke to the feeling that I am not my body, mind or thoughts, nor emotions, and witnessed this life in a different manner. A more free and liberated manner. I further grew into understanding the power of our thoughts, and understanding energy more. My two main chakras that have been most active for a long time have been my heart chakra, that bore deep compassion and love for people, and my throat chakra, whereby I have been an enabled communicator, and have had a developed ability to express myself well, tactfully, and freely. My teachings and goals are to help others to let go of the past pain and any restrictions or limitations upon themselves that they may be carrying, and to open up to new, untold wonders and joy, and empowerment in life. To consciously create and co-create not only the life of their dreams for themselves, but to co-create and manifest a wonderful, clean, healthy and prosperous world for all of us to live in, and share together, in peace, freedom, love, kindness, tenderness, and joy. And so much more. 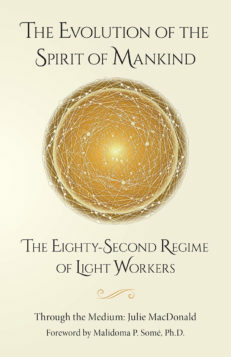 My wish and intention is that this book, and all my books, or videos, help you to expand into this wonderful being that wields the creative power of the Universe that you already house within yourself, and simply put, for you to lead a wonderful life. And to know that we are intimately and deeply connected, as part of this beautiful globe, and cosmos, as are we all. I am honored and deeply gladdened, and moved, to be any positive part of your life. I hope that some day I may meet you, and vice versa, and we share a tale of lightness together, of hope, truth, wonder and glory, and of appreciation and all good things. The power is in your hands. Never be disheartened. You, and we all, are being taken care of. You are exactly where you are meant to be, and you are expanding. Much PEACE, love & joy be with you, always ? This book actually excited me! I purchased the kindle version of this book and lapped it up on a beach in Greece! I have read many of these types of books but this one actually caused me to be excited. It also made me chuckle in places and even though some of the things are repeated throughout the book, I think this is exactly what some of us need! I love the way the Author sounds as bubbly as he does in his great videos but not in a desperate way for people to agree with what he is saying. I’ve suffered with low moods, fluctuating weight and irritability most of my life which has caused me many problems. But by finally taking responsibility for my own inner work with the help of wonderful videos and Facebook pages and things like this book and doing yoga and practicing self care, things are finally changing in my forties. When I say they are changing, I mean I’ve had a hand in changing them myself rather than continuing to drift to the mercy of my moods. 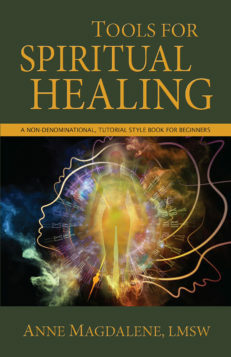 In this book, there’s great information on how to eat to feel lighter, have more spiritual and physical energy and how to keep your sensitive soul grounded, centred and connected. There’s some stuff here that I hadn’t read before and the way it’s presented makes me excited to get on with it. I know what he says is true as I’ve personally experienced some of these changes since switching to a vegetarian, plant based eating plan incorporating juices, smoothies, herbs on a daily basis. I also find yoga and my new eating complement each other perfectly. This book was the perfect book to read and sink in while on holiday, reading in a relaxed manner on the beach. Then floating in the sea and meditating upon it. It certainly helped me be less reactive and to let unimportant niggles on the holiday go! Well, what more can I say, except that i’m going to buy some hard copies as gifts and hope that his bubbly, relaxed and passionate style will resonate with the giftees as much as it does with me. I know it may not but that’s alright and acceptable and they can like what he says, or not, or whatever they want! I’m pretty sure that’s what Owen, the author would say! Thank you Owen! And much grateful love and appreciation for all you hard work and enthusiasm in all you do, especially in producing such an important, joyous and heartfelt book! 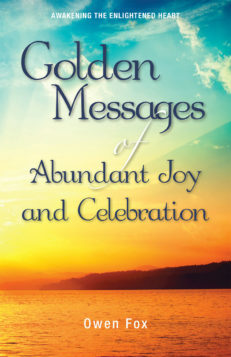 Golden Messages of Abundant Joy and Celebration fabulous title, wise words and highly treasured and recommended to all!!! Deeply enjoyed reading, and now re-reading, and sharing 😀 when I heard you were producing a book I was unsure at first – how would your naturally exuberant flowing style of delivering such a wide range of insights and loving wise advice for dealing with the everyday trials of life, that we are familiar with via video and social media, translate into written text? I needn’t have been concerned, the results are perfect in every way – readable, accessible and conveying the very spirit of the writer in a very personal and personable way. Owen – you are a remarkable person and a radiant spirit and my love and love and more love to you and to Sally on your next adventure. Bless you! Fabulous title, wise words and highly treasured and recommended to all!!! 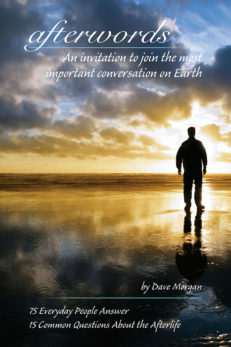 Deeply enjoyed reading, and now re-reading, and sharing when I heard you were producing a book I was unsure at first – how would your naturally exuberant flowing style of delivering such a wide range of insights and loving wise advice for dealing with the everyday trials of life, that we are familiar with via video and social media, translate into written text? I needn’t have been concerned, the results are perfect in every way – readable, accessible and conveying the very spirit of the writer in a very personal and personable way. Owen – you are a remarkable person and a radiant spirit and my love and love and more love to you and to Sally on your next adventure Bless you!